I've picked up a few new cards for our Daniel Hudson collection. I'll do a post for a new one each day this week. 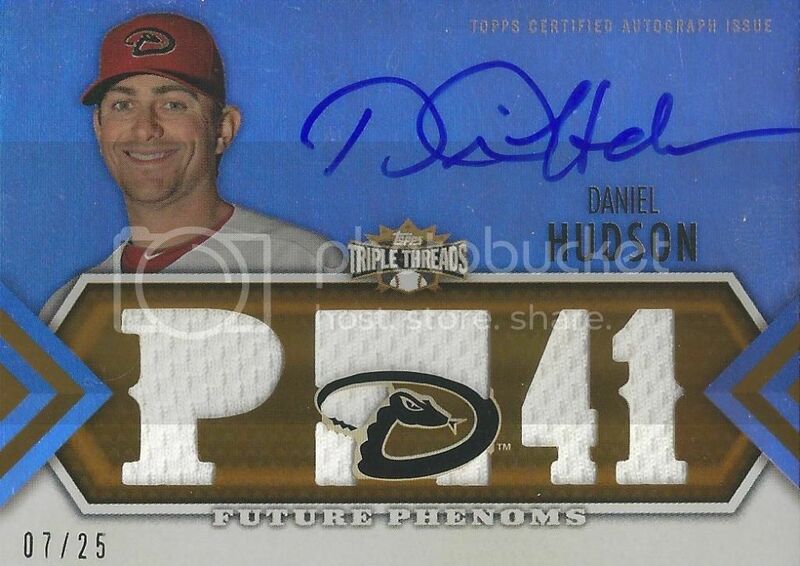 Also, don't forget to enter our Daniel Hudson autograph contest by commenting on Monday's post. If you win I'll send you a Daniel Hudson certified autograph card plus a retail hanger box of 2013 Topps Update. There's a whole rainbow of parallels for autographs from the 2012 Topps Triple Threads set. Awhile back I posted the Sepia parallel numbered to 75. Now I have the Gold parallel numbered to 25. I got a good deal on this one too so I'm happy. Contest - Win A Daniel Hudson Autograph!